Do you understand where calories and energy are derived from in your diet? When you better understand the breakdown of your meals, you will be better able to understand why healthy fats are important on a low carb diet. Here’s a simple breakdown of fat for energy on a ketogenic diet. Calories Are Energy, Right? Yes. Carbs Are Energy, Right? No. So Why Are Healthy Fats So Special? According to the energy balance equation, your body gains energy when you intake more energy through your diet than you expend through physical activity. That’s why the main point of most diets is to limit your energy intake through counting carbs or calories. It seems like a few years ago all of the diets were about counting calories and now they’re all about limiting carbohydrates. But you should you limit carbs or calories? And, if they’re both units of energy what’s the difference? This article will discuss the difference between carbs, fats and calories, how they impact your diet, and how or why you should watch them. To set the record straight, carbs, fats and calories are not all units of energy. We’ll start with calories and talk about carbohydrates and fat in a little bit. Calories are the units of energy, not carbs. A single calorie is the amount of energy that it takes to raise the temperature of one gram of water by one degree Celsius. This is a very small amount of energy, so when you read the nutrition label on your food, what they call “Calories” (with an upper-case C) is actually the number of kilocalories (that is, one thousand lower-case c calories). It takes 3500 of these Calories to make 1 pound. As mentioned above, the carbohydrate is not a unit of energy like the calorie is. The carbohydrate is a class of nutrient, along with proteins, fats, vitamins, minerals, and water. Carbohydrates, proteins, and fats are all called macronutrients aka “energy-yielding nutrients” because the body can break them all down to release calories. Of the energy-yielding nutrients, proteins and carbohydrates both release 4 calories per gram, while fat releases 9 calories per gram. You might be wondering, if fat contains more than twice the calories per gram, why do all of these diets have us watching carbs? And that’s a good question. The first reason is that the average person has much more carbohydrates than fat in their diet. We tend to think of carbohydrates as coming from grains, like pasta and breads. These are sources of carbohydrates, but carbohydrates also come from sugars. Grains are a source of complex carbs, which your body breaks down over time. Sugars are a source of simple carbs that your body doesn’t have to break down. Sugars are naturally occurring in sources like fruits, but they’re also added to just about everything. If you put a store-bought sauce on your pasta, you’re putting carbs on carbs. If you put jam or jelly on your bread, you’re putting carbs on carbs. And don’t even get us started on sources like soda and junk food. We eat A LOT of carbs. When you eat whole grains, you’re not just getting carbs. You’re getting fiber, vitamins and minerals. All of these nutrients can also be found in other foods that don’t have as many calories, like vegetables, which often have no carbs at all. This makes vegetables a more nutrient-dense and beneficial option for better health and weight management. Fat, on the other hand is far scarcer in our diet and its benefits cannot be found elsewhere. We usually don’t think of fat as being good for us, but it’s in every cell of our bodies, and is very important to the nervous system. While some fats are better than others and you should be careful about how much you get of each kind, carbs are simply more expendable in our diets as their nutrients can be found in foods that are much healthier for us. Eating healthy fats from whole food sources like nuts, grass-fed butters, coconut oil and avocados are a far better option and you will also be consuming vitamins and nutrients that the body needs to function. While fat has more calories, 9 per gram versus the 4 per gram in both protein and carbs, it’s more important to understand what it does inside the body. Find out more about using fat for fuel here. Of course, healthy fat options will always be better than fat from other sources. Hopefully, this article has helped you to understand the difference between carbs, fat and calories, as well as why most diets these days have you counting carbs. Eating low carb is an easier, more satisfying way to reduce weight and some lifestyle diseases, allowing you to live a longer more fulfilling life. Ready to get started? 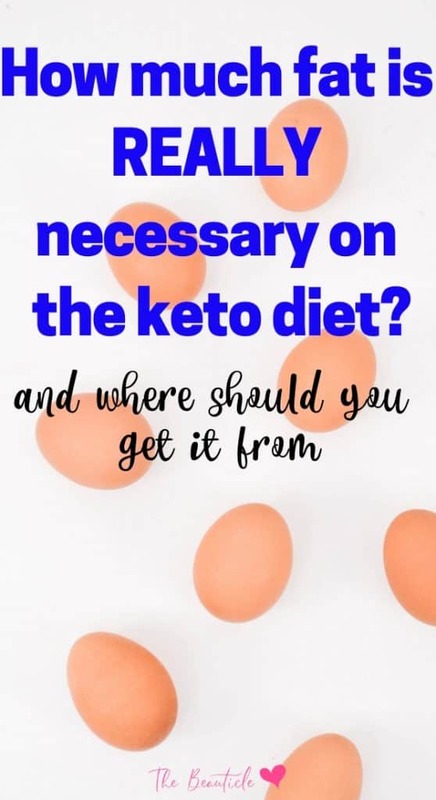 Enter your details below to get a keto quick start checklist and grocery shopping list to begin your low carb lifestyle.